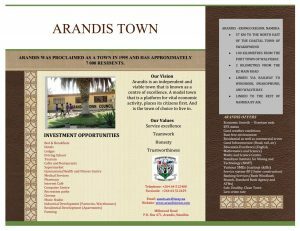 The Arandis economy is mainly derived from mining activities where a larger percentage of residents are employed. 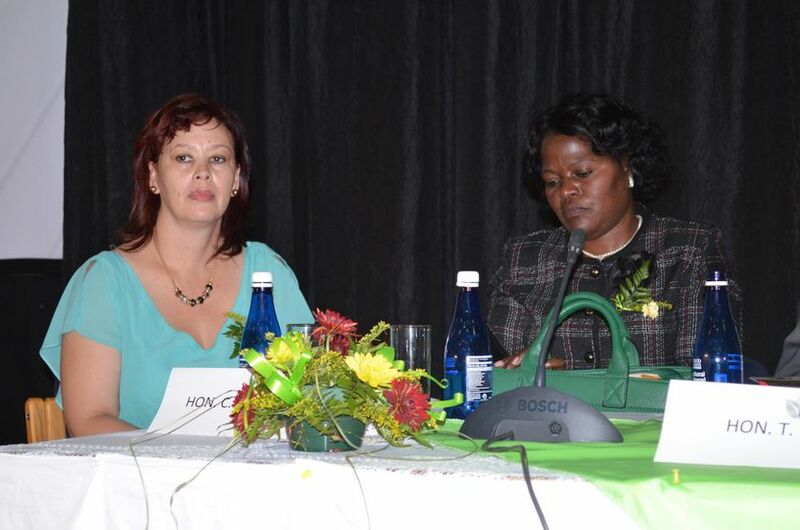 This is supplemented by light manufacturing, retail, textile, shebeens, food supply, accommodation and restaurants. While small, the public sector is represented through educational establishments (schools), police and health services. The absence of adequate shopping facilities means that the majority of residents do their shopping outside the Arandis town, resulting in earnings being leaked out of the local economy. The local Council and other Stakeholders are currently looking at opportunities to strengthen the town’s economic base, such as attracting larger supermarkets and banks to retain spending within the local economy. Arandis has developed an LED Strategy in order to set the foundation for Arandis to grow. 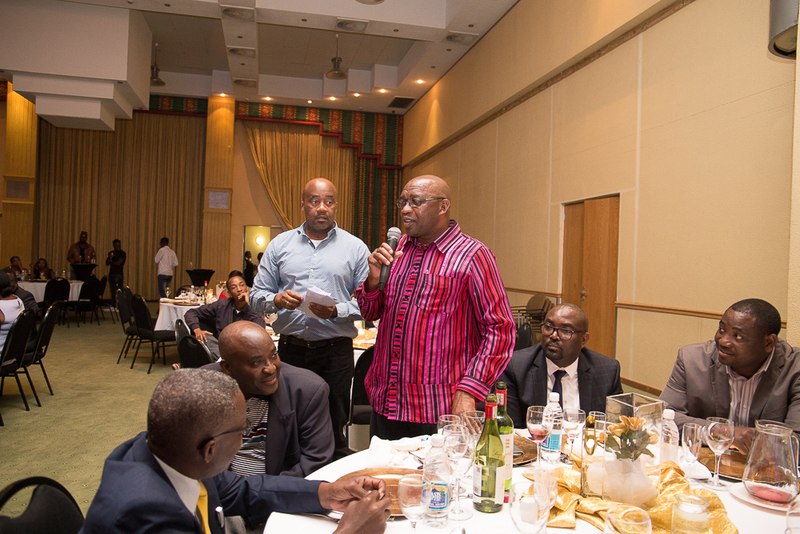 The strategy focuses on establishing a diversified economy, creating a business friendly environment, promoting local business, attracting investors and marketing the town. 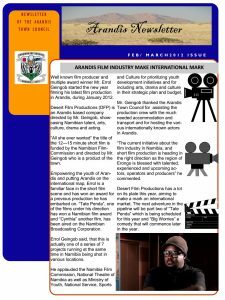 The strategy also aims to promote Arandis as a hub for industrial development, as well as a centre for educational excellence. 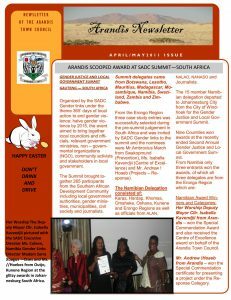 Arandis also aims to market itself as an alternative tourism destination for the tourist visiting the coast. Recent studies show that Arandis has significant potential for economic development. The generally good weather, proximity to main trade routes for import and export, social support systems, low crime, favourable climatic conditions (no corrosion) and a desire from the local authority to increase/attract investment make Arandis a desirable destination for a variety of economic activities. 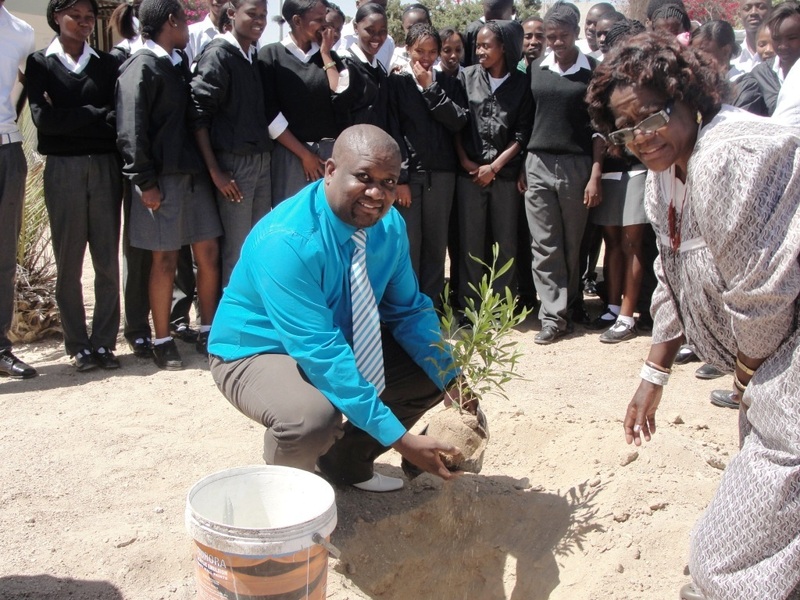 One of the greatest breakthroughs for the Arandis Town Council has been to convince Bank Windhoek to open an Branch in the town. 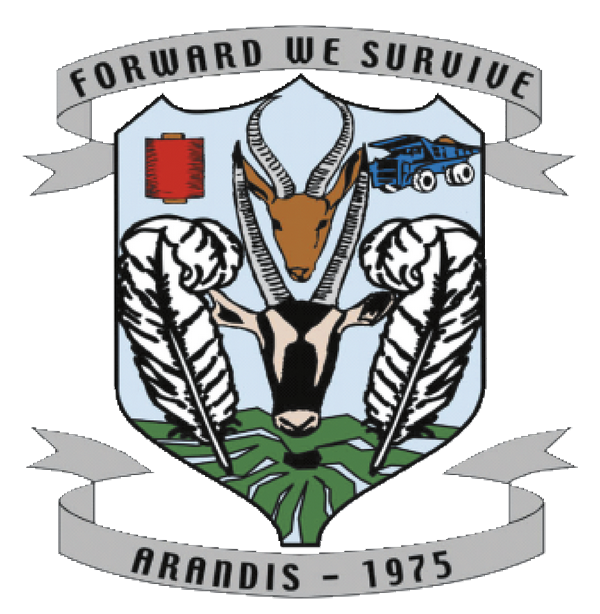 Today, Arandis boasts with the Bank Windhoek Branch and a Standard Bank (Automatic Teller Machine) ATM. 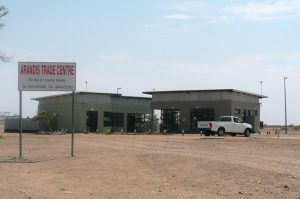 To further strengthen economic growth; the Town Council has entered into a joint venture with The Rössing Foundation and BP to open a filling station in Arandis. 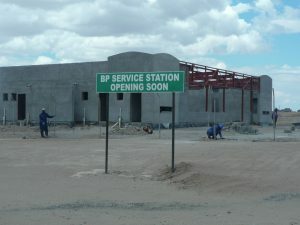 The service station will start operating before the end of the year (2011). In the year 2004 Arandis experienced resurgence in economic growth. With the global energy crisis, a significant rise in demand occurred for nuclear energy, increasing demand for Uranium. 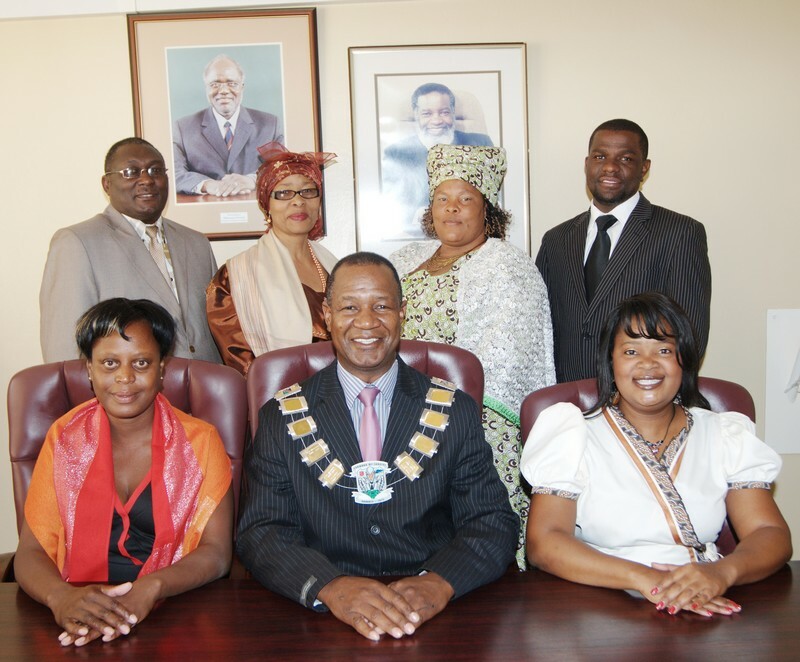 Diversifying the economic activities within Arandis, moving away from a town that only services the mining industry is a high priority for the Council. 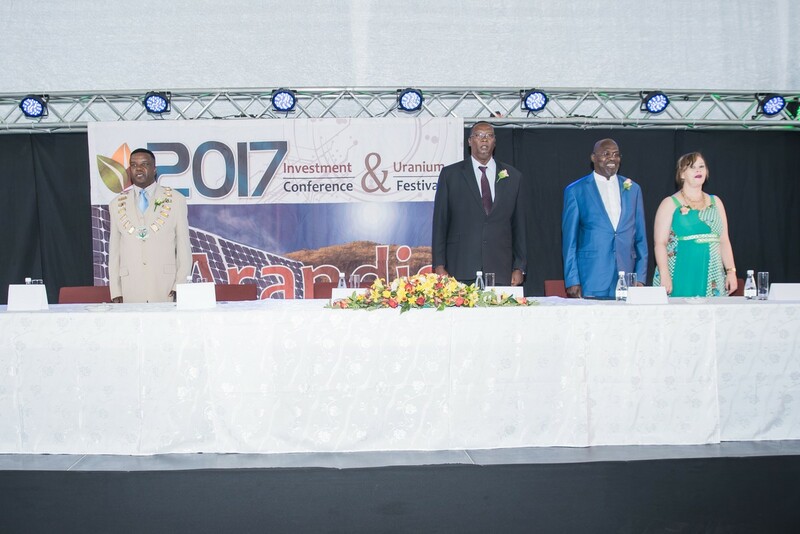 The mining industry forms a platform to establish new businesses in town and will ensure sustainability of Arandis over the short and medium term, however, to ensure long-term sustainability a diversified economic base needs to be established. 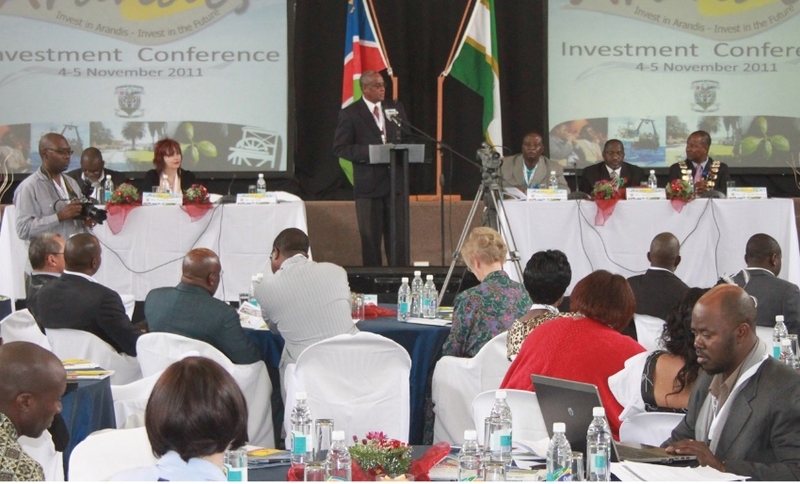 This will ensure that the town offers unique goods and services that address the needs and demands of its residents and the Namibian market at large. Availability & Affordability of land- The industrial area (which is located near to the railway line) is already planned and is in the process to be serviced. Sufficient residential erven is also available to address demand and new town planning is also in process to increase the availability of erven to address business and residential demand. 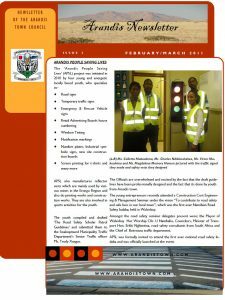 Proximity to coast but outside rust belt- currently, the more preferable towns of Walvisbay and Swakopmund are located at the coast but highly exposed to rusty conditions. Though Arandis is located about 60 km from the coast, it is outside the rust belt. This makes Arandis more preferable for certain industrial clients to locate their business outside the rust belt but still close enough to service clients located in Walvisbay and Swakopmund. 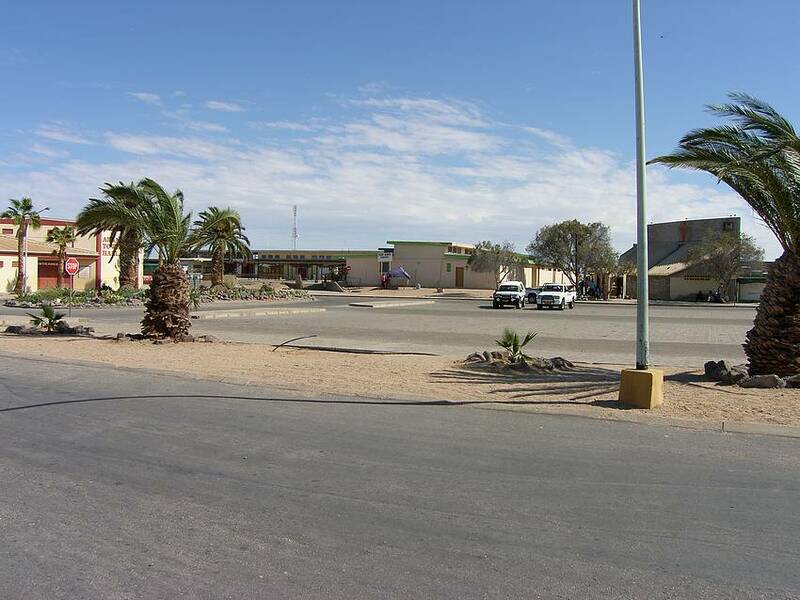 Proximity to the transport corridor) – Arandis is located along the railway line linking Walvisbay (the main harbor) with the Capital, Windhoek. 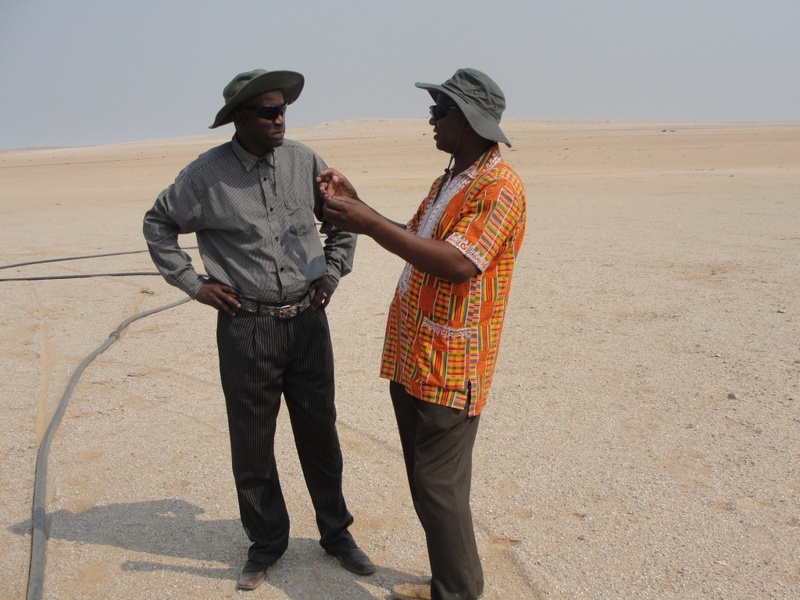 It is located along the main road linking the port to all major towns and which also forms part of the strategic route to southern African countries. The town has a well maintained aerodrome which is shielded from coastal windy conditions.